At wheelchairparts.com we not only supply wheelchair parts but we supply a full line of cost effective and quality wheelchairs from many different brands. Here at Wheelchairparts.com we not only supply wheelchair parts, we also supply cost effective and quality wheelchairs. We have many different wheelchair brands for you to choose from. We also put are wheelchairs into different categories making whichever wheelchair you are looking for much easier to find. Our categories include the following styles of wheelchairs, heavy duty, lightweight, reclining, standard, transport, and we even have sorting of wheelchairs by price. Each of these categories give you the different brands available for that specific type of wheelchair. The entire process of finding the perfect wheelchair for you has been made much easier. 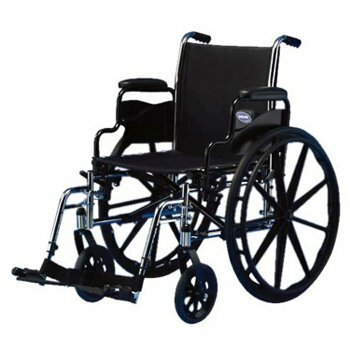 Browse these categories under "Wheelchairs"
Wheelchairparts.com is brought to you by Ocelco, Inc. We are a supplier of many different types of medical equipment. We have specialized in wheelchairs for over 38 years. We know everything there is to know about wheelchairs and every last part used in them. We know we'll earn your business and trust with our fast shipments, great customer service, and complete knowledge of this industry.